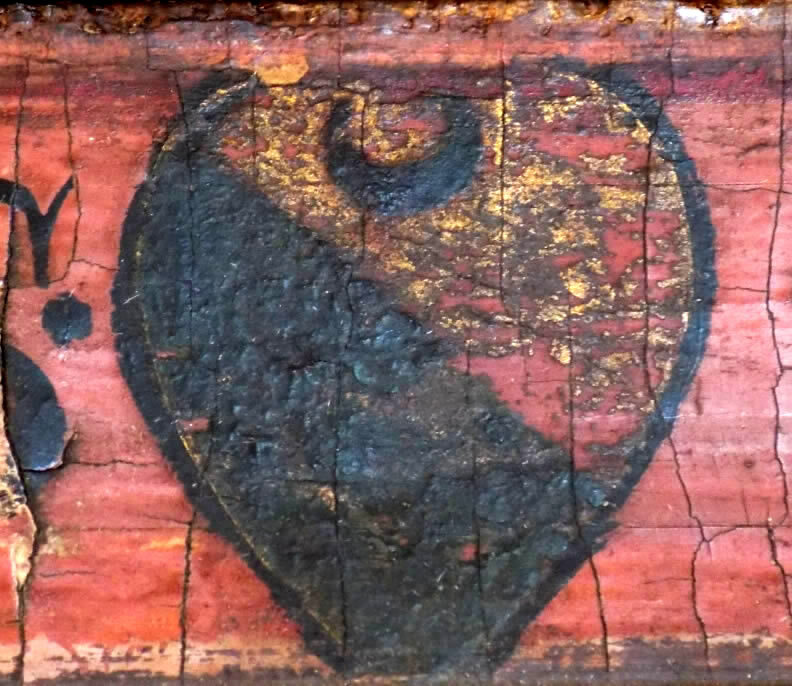 Can you help identify this Italian Family Coat of Arms from about 1400 ? Identificazione di araldica Italiana Stemma della famiglia. This Italian coat of arms ( called a Stemma in Italian) appears on the base of a panel painting, painted in Florence around 1400 as an altar piece and is centrally positioned beneath the feet of St Peter who is depicted with St Antony Abbot and Mary Magdalene. This family heraldic shield is almost certainly the patrons family crest and a coat of arms that holds the secret identity of the person who commissioned the painting from the artist. The coat of arms is decorated with Gold Leaf in the top section and solid blue at the bottom. A horizontal crescent moon (Crescente: la falce di luna) appears in the centre at the top and unlike in British heraldry is more simply symbolic, inferring wealth. The graphic below shows the crest clearer. Please contact us if you can help. Tuscan Heraldry - Identifying Tuscan Heraldry, Identity of Tuscan Heraldry, Identifying the family heraldry of Tuscany Identifying the heraldry of families from Florence. Italian coats of arms, identification of Italian coats of arms. Coats of arms of the guilds of Florence, Tuscan guilds coats of arms. Family coats of arms in Italy. Heraldic crests, heraldic crests in Italy, Tuscan heraldic crests. l'Héraldique toscan, Toscan l'identification, l' identité de l'Héraldique héraldique toscan, identifiant la famille de Toscane héraldique héraldique de l'identification des familles de Florence.Les armoiries de l'italien, l' identification des blasons de l'italien. Armoiries des guildes de Florence Toscane, les guildes des armoiries. Les armoiries de la famille en Italie. Emblèmes héraldique, héraldique, écussons en Italie toscane, emblèmes héraldiques. 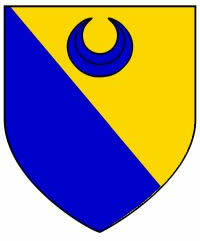 Identifying Italian Family Coat of Arms - Tuscany?Identificazione di araldica Toscano.